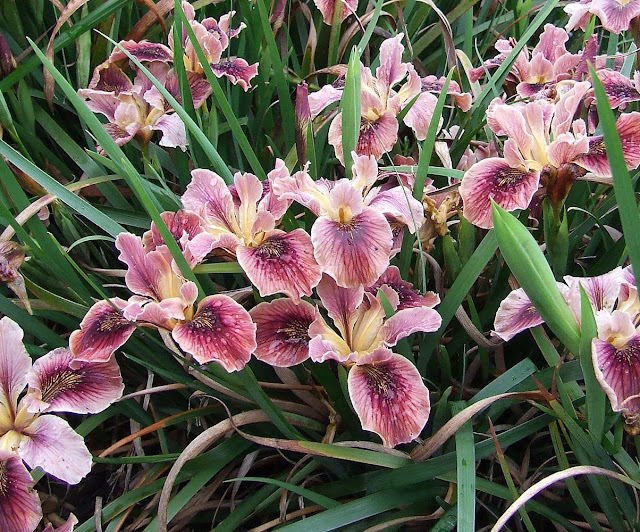 Fashions in Iris breeding and the end result, the blossom's are constantly changing. Pacific Coast Irises are little known Irises,outside Iris circles. Flowering well ahead of the Tall Bearded Irises,the evergreen, tough plants, and could become a landscape designers dream plant should they ever become available commercially. Paid a visit to a good friend and Iris colleague Gareth Winters and his fantastic collection of Pacific Coast Iris seedling, mostly all his own crosses. Totally amazing how these Irises have advanced in colour and form over the past decade. 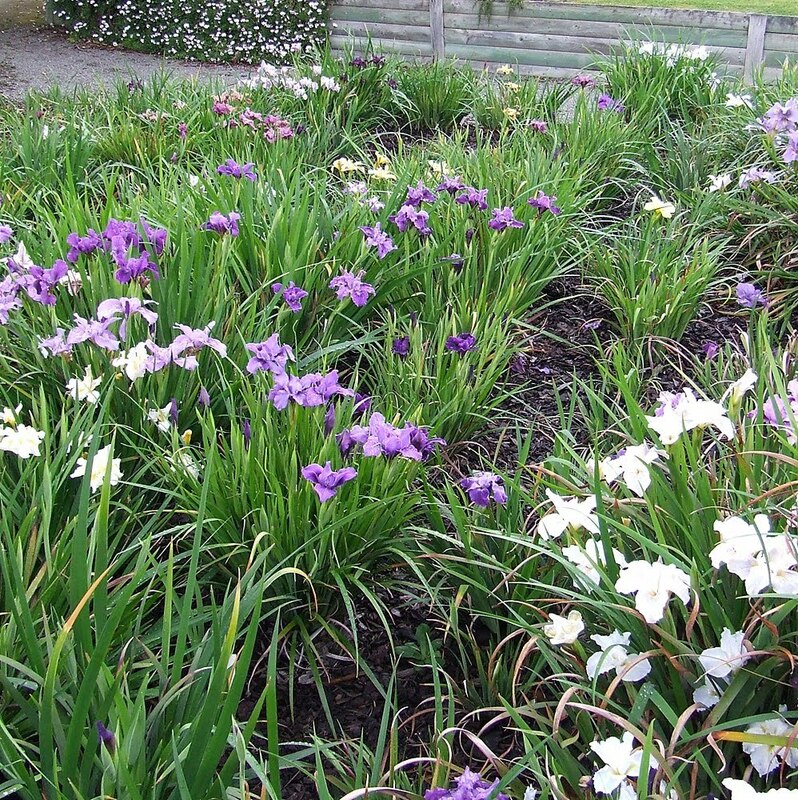 Gareth is a great writer on all things horticulture which is very evident in his blog 'Irises and Archives', he is the Editor of the biannual journal 'ALMANAC' for the Society for Pacific Coast Native Iris, Writes a weekly garden page for the local Newspaper 'The Wairarapa Times Age' , and the Archivist for the Wairarapa Archive. Clicking the image's will automagically take you to the larger, higher resolution version. Will post some more photos from this collection soon. This plant is a New Zealand classic garden icon, blooms with an amazing perfume that for me heralds the start of spring. It is a sport of Freesia refracta alba, is much improved and is a very fragrant white flower of outstanding quality and size. A bulb flower that is almost a pure creamy-white with yellow lower lip which is quite free from outer purple markings, and is twice the size of Freesia refracta alba. It appeared by chance in the private Nelson gardens of Mrs Burton in the 1930's and the owner conferred a benefit on posterity by segregating and propagating it. 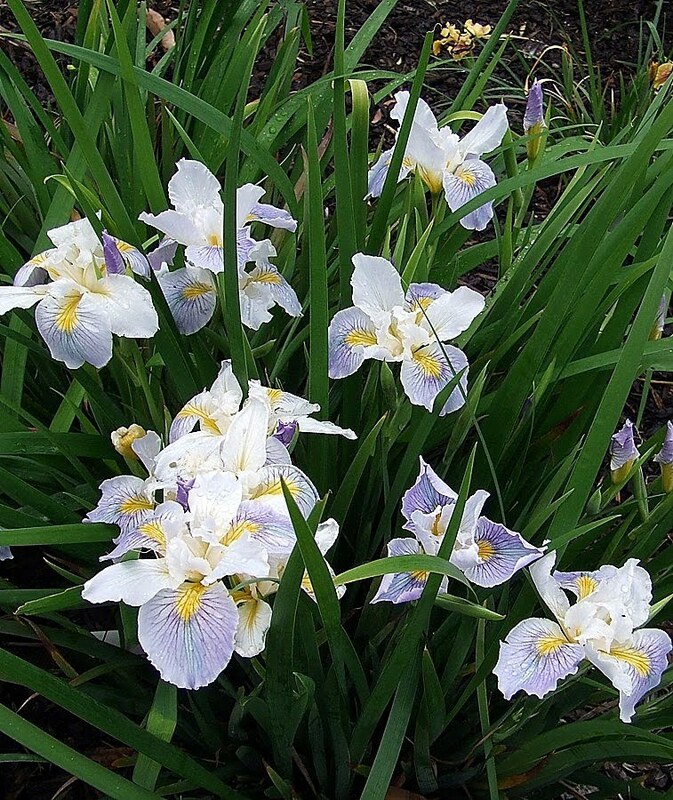 The flowers are generally sterile and seed is very seldom seen, so stock must be increased by divisions which is helped by its vigorous growth creating large bulbs. Great for mass plantings and for picking as flowers are produced abundantly for two months from early spring. 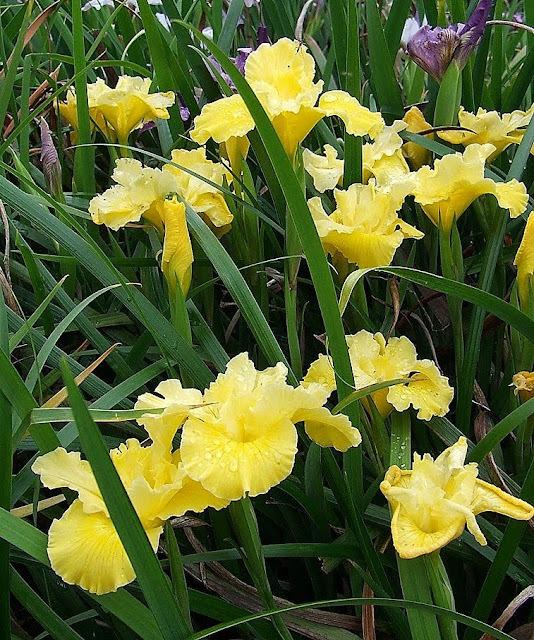 A bulb variety that got lost in the clamour of 'big box' garden centres to sell the latest and greatest using the 'one plant fits all' criteria, which inevitably created a lack of retail demand for this variety so it was taken off commercial growers catalogues. Freesia alba Burtonii can now can only generally be found on garden groups sales tables, so if you can find it, get it, I guarantee you will enjoy it! New Zealand Native "Clematis paniculata"
Our beautiful native Clematis which the Maoris call 'puawhananga' apparently meaning the 'The Sacred Flower' is a stand out spring feature dotted on the Hills of Bush I drive over each day on my journey to work. The starry white, lightly scented blossoms that herald the Spring, are up to four inches across, and on mass in the native bush look like small patches of snow on the tops of trees. All of the nine species of Clematis native to New Zealand are evergreen, and of these C. paniculata is the largest flowered and most spectacular. In Autumn it again features a grand display with its fluffy silvery seed heads. Simply grown up the side of a tree as in its native habitat, and as with almost all clematis keep its root run cool, I give it a feed annually in the Autumn with some good quality leaf mould, then all that is required is 'Do not disturb'. It is a pity that this native species is not more widely grown in New Zealand gardens, as it can be easily propagated by cuttings or seed. Photo taken in the early morning sun in the garden this morning. 'Proud Tradition' is in my opinion the best 'Neglecta' when it comes to the "classic modern form". It has wide and lightly ruffled deep Hyacinth blue falls with light blue standards which are displayed on fine stems that yield eight to ten buds. Matching blue beards that are lightly tipped yellow, which contribute to the overall good effect. Better than great health, with average vigour and increase. A respected variety that has a prominent place growing in our garden at home. The SUN BELT AWARD is given to the Best Proven Variety, i.e., one that has been on the market long enough to be thoroughly tested in the Midwest (at least 4 years): PROUD TRADITION (Schreiner 1990) has developed into the finest neglecta, for overall performance, in the Heartland. It is a very masculine flower, with a rich velvet texture, broad parts with virtually no ruffling. The color saturation is complete, with heaviest of substance, allowing the flower to retain all its pigmentation through the life of the flower. The stalks are husky and tall, holding up the large flowers with dignity.The plant habits are impeccable, with huge thick plants with strong increase. A total vision of health, head to toe. PROUD TRADITION (Schreiner 1990) EM, 36"
'Proud Tradition' (Schreiner, R.1990). Seedling W 164-A. TB, height 36" (91 cm), early to mid season bloom. Standards light blue (RHS 91C); falls ruffled medium blue (93A); beards blue, tipped yellow. J 50-G: (D 241-1: ((First Violet x King's Choice) x (Allegiance x ((Pierre Menard x Blue Ensign) x Harbor Blue)) x ((First Violet x Arabi Pasha) x (Salem x Bluebird Blue))) x Navy Strut) X Royal Crusader. Schreiner 1990. 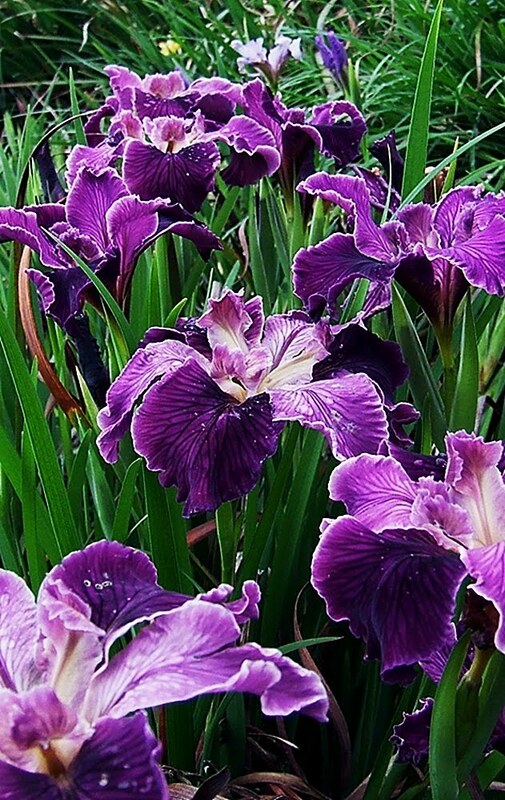 For such a stand out Iris it is somewhat bewildering to find that this iris is not sold by any commercial grower in New Zealand!!!! Its a real privilege to feature this variety on my return to writing for the blog.